My almost two year old is really starting to enjoy story time . I love this because he will not only sit and "read" his own board books, but he likes to listen to bigger books that I read to him. JSL is fascinated with all things monkey. He will demand that we put the Wiggles monkey song on and he makes monkey sounds galore. 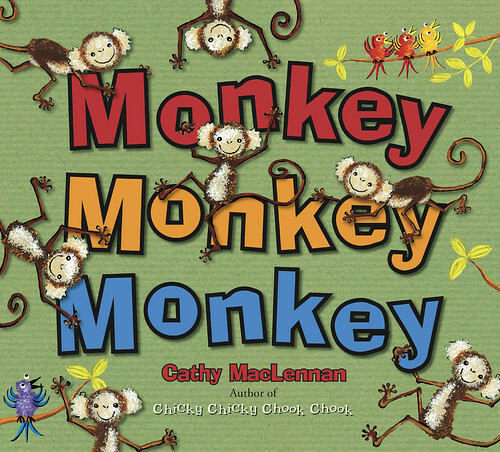 Recently, we read the new book Monkey Monkey Monkey by Cathy MacLennan. I must admit, when I selected this book I definitely judged a book by it’s cover. I knew that JSL liked monkies and the cover was absolutely adorable. The minute I pulled the book out, JSL came flying to me. He was making monkey noises and plopped onto my lap. My kindergarten kid heard the noise and also came to listen to the story. When you start the story, you immediately meet Monkey. Monkey is playing and doing what monkies do. Monkey has a problem, though. Monkey can not find something he wants. Monkey is missing his "monkey-monkey-monkey nuts!" 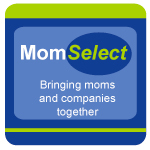 While reading the story, you follow Monkey as he looks for his monkey-monkey-monkey nuts. With each page you turn, Monkey finds various rainforest friends including spotted leopards, crocs, frogs, insects, birds. Monkey also travels to different places in the rainforest like to fruit trees and even the top of the leafy canopy. Monkey gets more and more hungry and does not find his monkey-monkey-monkey nuts . . . until somebody saves the day! Both of the boys thoroughly enjoyed the book. NHL really appreciated the rhyme and repetition within the story. He quickly joined in and was able to help me read the book. Even JSL was making his monkey sounds each time we turned the page and saw the beautiful colorfilled illustrations of Monkey’s rainforest world. I know that we will be looking for more of Cathy MacLennan’s books in the future because of how the amazing illustrations put you into the world with the characters. 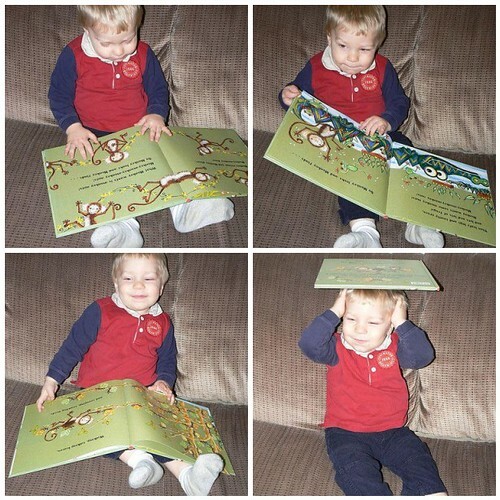 JSL also likes to take Monkey Monkey Monkey and "read" it alone. Here he is enjoying some reading time on his own.